In late March 2019, Mike Pence, the Vice President of the United States, made an incredible statement at a conference. He announced that the US administration wants to bring men back to the Moon in 2024, suggesting a phenomenal acceleration of the US lunar program. 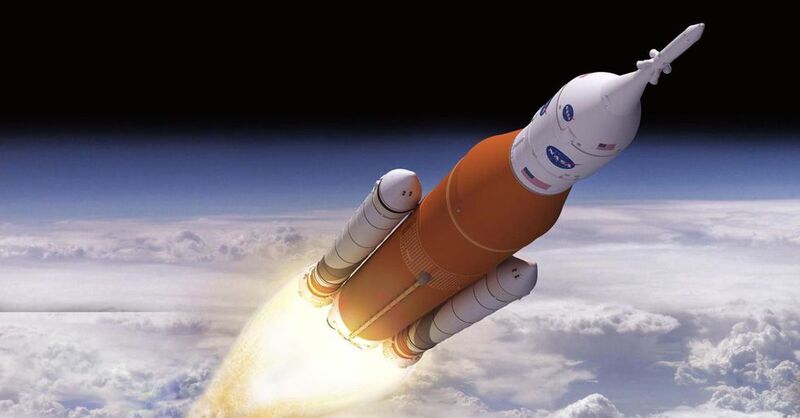 So far, NASA was aiming for 2028 and it was already very ambitious. The announcement of Mike Pence is hard to believe. With the 50 years of man’s first steps on the Moon and the upcoming 2020 presidential campaign, it is more like communication. The US vice president did, however, provide some pointers on how such an agenda could be held. The role of the SLS in the American lunar strategy should be maintained. However, NASA must accelerate the development schedule of this super-heavy launcher. The date of its first flight was announced in 2021, which prompted Jim Bridenstine to consider the first flight of the Orion capsule on a private launcher. Mike Pence reaffirms the Trump administration’s support for NASA’s new giant launcher. The US space agency and Boeing must therefore do their utmost to maintain a first launch in 2020. To achieve this, some tests could be canceled, which would save a few months of development. To hope to keep the commitment made by Mike Pence, NASA will have to take risks and spend a lot of money. But Mike Pence did not say whether the NASA budget would be adapted to the scale of the project. NASA’s budget is high but the US space agency has many other missions to pursue. It will probably depend a lot on the competition that China represents. Mike Pence said the United States considers the South Pole of the Moon as a strategic location. We know that China is also very interested in the South Pole of the Moon. The rivalry between the two countries is visible in the budget that the United States allocates to its space activities for the year 2020. The US military has thus increased the budget dedicated to space by 20%. More than $ 14 billion is dedicated to military satellites, the strategic launcher and other projects such as the X-37B drone. If the Moon becomes the subject of strategic rivalry, we may thought that the US congress increases NASA’s budget to the same extent, making Mike Pence’s statements a little more realistic. To return to the Moon in 5 years, it will also be necessary to use already advanced designs. It seems complicated to develop new launchers and space vehicles as quickly as possible. This is probably the opportunity for the private American industry to be financed by NASA for their most ambitious projects. We think of Blue Origin’s Blue Moon vehicles, or even SpaceX’s Starship. By the end of the year, we will know more about the feasibility of this lunar ambition. To have a chance of succeeding, NASA must start working quickly. The design of a new lunar lander, the launch of the construction of the LOP-G modules and the acceleration of the SLS tests become a priority. NASA’s new strategy is to let private companies take care of the journey to the Moon. The US space agency has therefore mandated nine private companies to design lunar landers. NASA will buy them and provide them with scientific payloads. The US Space Agency has just communicated the first scientific instruments it wants to send to the Moon within the CLPS program, as early as 2019 if possible. Among these scientific instruments, there are experiments about the study of the lunar environment and technological demonstrators. Scientific instruments include, for example, cameras, spectrometers and radio experiments. Technological instruments include, for example, a tracking beacon, a solar panel specifically designed for lunar conditions, a navigation LIDAR and instruments for monitoring the descent and landing of spacecraft. A first launch in 2019 seems very ambitious. Even the companies mandated to manufacture the lunar landers seem to want to calm NASA. Astrobotic, one of the CLPS participants, has confirmed that its lunar lander Peregrine will not be ready before 2021. Moon Express thinks it can be ready for launch in 2020. It is one of the most advanced companies in the CLPS program. It seems that NASA will not launch its first mission to the Moon for the 50th anniversary of the first steps of Man on the Moon. Israelis, Indians and Chinese will continue to monopolize the media until the CLPS program launch. On February 14, 2019, Jim Bridenstine affirmed his wish to send men quickly to the Moon. The NASA administrator wants men to stay on the moon and want this to happen quickly. The US space agency has always the objective to launch a mission to the Moon this year. The travel will be purchased from one of the private companies participating in the CLPS program. NASA said it will not hesitate to pay heavily for the company that can accompany it in the tight schedule of NASA. This should provide additional motivation to Moon Express, Firefly Aerospace and other companies participating in the program. In parallel, NASA is developing two scientific payloads that will fly aboard the first lunar missions. They are apparently from the Resource Prospector program, a mission of the US Space Agency that was canceled in 2018. The effort will be focused on the location of lunar resources because NASA wants to quickly send men back to the Moon. The LOP-G is a space station that must be assembled in lunar orbit. NASA is now starting to work with its partners on the human operations that will take place on the surface of the Moon. A basic lunar architecture has been presented. It revolves around three elements. From the LOP-G, a transfer module must travel between the orbit of the space station and the low lunar orbit. This transfer module that will weigh 25 tons must be reusable many times. A 12-ton descent module must then land on the lunar surface. It must allow four people to be transported to the surface of the Moon. The lift module joins the transfer modules in low orbit. Then, the transfer module returns to the LOP-G and the Orion spacecraft makes the trip to Earth. As most of these elements will be reusable, NASA is studying a refueling module capable of taking 10 tons of propellant to the LOP-G. Like the CLPS program, the US space agency wants to let its private partners take care of the development of all these space vehicles. This development must be done with 20% equity, NASA will take care of the rest of the bill. The good news is that NASA’s budget is up for 2019. It’s even higher than expected : $ 21.5 billion. This allows generous budget envelopes to be allocated to the SLS, the Orion spacecraft and the LOP-G. Companies wishing to manufacture one of the elements of the new lunar mission architecture can submit their offers to NASA until March 25, 2019. In May, NASA will select six to eight preliminary candidates for the manufacture of transfer, descent and lift modules. They will have a first budget envelope of up to $ 9 million to conduct a concept study. Then only one or two candidates will be selected. They will then have checks worth hundreds of millions of dollars to put their project in motion. NASA is focused on its new lunar plans. It mobilizes resources that can be ready very quickly. The Commercial Lunar Payload Services (CLPS) program will have to be able to send the first US payloads next year. In this new lunar effort, NASA benefits from the work done under the previous US lunar program, named Constellation, which did not succeed. This program laid the foundation for the SLS launcher and the Orion spacecraft, just before being canceled by the Obama administration. Constellation also sent a lunar orbiter called LRO (Lunar Reconnaissance Orbiter), which is still active and should have enough propellant until the middle of the next decade. LRO was placed in lunar orbit in 2009. The mission of the orbiter was to identify the resources and landing sites for the remainder of the Constellation program. A decade and two program changes later, this mission becomes relevant again. NASA had invested half a billion dollars in the mission. The US space agency will now be able to take advantage of the 3D and high resolution maps that the orbiter has created. NASA wants to use the LRO to monitor the moon landings of its new payloads. Under the CLPS program, nine companies are competing to deposit NASA’s payloads on the Moon. The teams working on these projects have started collaborating with the LRO teams. The goal is to synchronize the landings of their lander with an overflight of the spacecraft. NASA also wants to provide the international community with the capabilities of the Lunar Reconnaissance Orbiter next year as at least three missions to the Moon are planned. An Israeli organization that participated in the Google Lunar X Prize should attempt to land a lander in February 2019. The Indian space agency (ISRO) will also launch the mission Chandrayaan-2, which includes an orbiter, a lander and a rover. Chandrayaan-2 is also scheduled for the beginning of next year. The third scheduled mission is Chang’e 5, the Chinese mission back lunar samples. On that side, things are a bit more complicated. 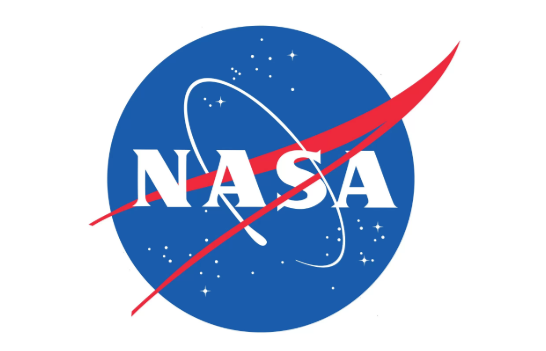 NASA complains of a lack of communication from the Chinese Space Agency (CNSA), and collaborations between the two organizations are in any case outlawed in US law. NASA is still at the very beginning of its new lunar program. However, we know that the US space agency wants to involve private industry and the “New Space”. On November 29, NASA announced the identity of the nine companies that will be able to compete under the Commercial Lunar Payload Services (CLPS) program. This program must be able to put useful charges on the surface of the Moon. NASA will only be the client of private companies, which must develop their own vehicles to reach the lunar surface. In the list of the nine selected companies, there are some well-known names and others that are much less well known. Lockheed Martin and Draper have been used to NASA contracts since the time of the Moon race. Martin was one of two finalists for the construction of the Apollo control module, but the company was ultimately unsuccessful. Draper had designed the control and navigation systems that had allowed NASA to put men on the moon. Lockheed Martin will propose a lunar lander called McCandless, directly inspired by the architecture of InSight that has just landed on the planet Mars. It will provide electricity, communication and thermal regulation for a payload of up to 100 kg. Draper’s lander is called Artemis 7 because the instruments developed by Draper have already landed six times on the Moon. It will be built in collaboration with General Atomics, ispace and Spaceflight Industries. The other seven companies selected are all part of the “New Space” sector. They were created after the year 2000. Some of them are one or two years old. For example, ORBITBeyond was created in 2018. The company will resume the work of Team Hindus, an Indian company that competed in the Google Lunar X Prize. Astrobotic Systems and Moon Express come also from the same competition. These two companies have the advantage of working on small landers for several years now. Moon Express could try a first lunar mission on its own within a year or two. 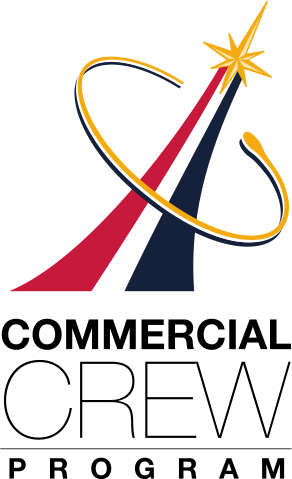 The presence of Firefly Aerospace in the NASA’s list is perhaps the most surprising because the company is more known for developing rockets than landers. In addition, Firefly Aerospace went bankrupt in 2017 before being renamed. But the company actually seems to be working on a lunar lander. It has the advantage of being able to propose a complete architecture composed of a rocket and a lunar lander. All other participants in the program will have to find their launcher. NASA’s list is complemented by Deep Space Systems, Intuitive Machines and Masten Space Systems, which introduced concepts of lunar landers. This first selection of NASA is still vague about the dates and number of missions that will be awarded to each company. We only know that the program’s budget will not exceed $ 2.6 billion over 10 years. But that could evolve very quickly. NASA could validate the first of these missions for launching next year. The US Space Agency is looking for payloads that could be quickly integrated on these landers. We imagine that the first missions will be relatively modest with a gradual rise. NASA says its plan to return to the moon. Last Thursday, at a meeting of the National Council for Space, officials from NASA and the US government discussed their options to move in this direction. This is the opportunity to better know the different lunar objectives that the United States of America set. In addition to its space station into Moon orbit, NASA would like to conduct various missions to the surface of the Moon. The US space agency wants to exploit the CubeSat format to advance lunar exploration. This lunar mission based on these tiny spacecrafts could thus take place over the next ten years. During the same period, NASA wants to send 10 light landers on the surface of the Moon, as part of its program of collaboration with private partners. The first contracts should arrive next month. Two heavier landers including a rover complete the robotic exploration phase. These missions will improve the accuracy of landings on the Moon, test the techniques of exploitation of lunar resources or assess the potential of nuclear energy for exploration of the Moon. This may be an opportunity to test the Kilopower fission reactor. Manned flight occupies much of NASA’s plan, starting with the Orion spacecraft’s first two lunar exploration missions. Orion should bring a crew for a Moon flyover mission. By 2028, NASA also wants to complete the LOP-G station in lunar orbit. The US space agency plans a decade to bring men to the surface of the Moon, so it would go through a descent module that should be ready in 2024, and a reusable lift module. A reusable transfer vehicle would be responsible for transport between the LOP-G and the low orbit of the Moon. NASA claims to be able to achieve this lunar plan within the limits of its current budget. This did not prevent sharp criticism from some of the personalities present at the meeting. Harrison Schmitt and Buzz Aldrin, two former Apollo astronauts, say the program lacks ambition. For them, 2028 is too late to bring men back to the Moon. Buzz Aldrin also seems particularly opposed to the LOP-G, which he considers a waste of time that does not bring much for the final goal. Michael Douglas Griffin, a former NASA administrator, went one step further by calling the LOP-G a stupid architecture. Griffin also believes that even if for the moment China is taking its time, it would probably be able to bring men to the Moon by developing a program over six or seven years. For Griffin, if the United States of America wants to retain its leadership, it must be simpler and more direct. It would mean the abandon of the LOP-G project. In addition, the Canadian space agency recently announced that it is did not decide yet if it participates in the LOP-G. NASA must also face the prospect of a budget cut in 2020. It may have to cut up to a billion dollars from its budget, which would lead to arbitration between its various programs. The lunar plans of NASA are still far from seducing everyone, in the United States of America and elsewhere. The robotic exploration part of the Moon should start without too much trouble. We will know in a few weeks the identity of the companies selected to go depositing payloads on the surface of the Moon. 31 companies responded to the call for tenders. NASA’s plan for its lunar return is divided in two. On the one hand, the US Space Agency is making a lot of effort to create an inhabited space station in the cislunary orbit, the LOP-G. On the other hand, it wants to conduct a new robotic exploration of the Moon’s surface. This initiative could prepare the return of the Man on the lunar soil. The robotic part of this plan will be entrusted largely to private companies. NASA has said it wants to buy flights to the Moon by contracting with private partners in the coming months. These flights could start from 2020. Moon Express, Blue Origin and other companies could very quickly take the NASA payloads to the moon. NASA issued a new tender for payloads on October 18. The objective is to develop 8 to 12 experiments that could embark on the first lunar lander. In this document we distinguish two main ambitions. The return of NASA to the surface of the Moon will first be an opportunity to do science, not only to study the Moon but also to study the Earth and the Sun from the Moon. The US space agency seems particularly interested in the way heat spreads in the lunar crust, or the effects of solar winds and dust on the surface of the moon. NASA’s other ambition is to use these experiments to test the technologies needed for the return of humans to the moon. Local production of propellants and 3D printing of structures should be of particular interest to NASA. Given the deadlines that NASA communicates, these experiences need to be developed quickly. For the moment, NASA aims to send them on the Moon between March 2020 and December 2021. This is why a special interest will be granted to projects already well advanced. Alternative experiences, ongoing academic projects, or instruments using existing pieces will be favored. NASA is already expecting a number of proposals but hopes to be surprised by others. There is little detail on the constraints that payloads will face. They must have a mass of less than 15kg and a power consumption of less than 8 watts. This approach of developing payloads in parallel with the development of the lunar landing gear seems to worry many people, including within NASA. Developing a payload without knowing the constraints of the lunar lander and without knowing the landing site on the Moon is not comfortable. The part concerning the robotic exploration of NASA’s new lunar program seems to be advancing at a steady pace anyway. By outsourcing launch and landing functions to the Moon, the US Space Agency hopes to maintain control over the costs of this project. The deadlines presented by NASA are very close, but they remain exposed to political risk in the event of a change in the White House in 2020. NASA wants to return to the Moon. This became concrete with the signing of the Space Policy Directive 1 by President Trump in December 2017. The overall goal is clear but the details are still a bit unclear. NASA, however, has published a roadmap on September 24, which provides some additional information. In this document, there are two calendars. The first calendar concerns the lunar orbit and the second calendar concerns the lunar surface. The LOP-G station is at the center of the project of manned missions in the lunar orbit. Starting this year, NASA plans to finalize the final design of the space station. Commercial and international partners should also be known by the end of December. In 2019, the US Space Agency will decide on the final orbit of the LOP-G. The parameters taken into account will be the cost and the possibility of being visited by several space vehicles. So there will not be only Orion to serve the space station, which may be an opportunity for the new Russian Federatsiya spaceship, or for a commercial vehicle. The Orion spacecraft will be launched by the SLS in 2020 for an unmanned mission around the Moon. In the same year, NASA will decide on the scientific payload that will be incorporated into the LOP-G. It will also be an opportunity to develop the space station logistics chain based on launchers and cargo ships available. The lunar program of NASA is expected to accelerate in 2022, which should be the year of the first manned flight of Orion with a flight over the moon. In parallel, the first module of the LOP-G, the LOP-G PPE, will be placed in its orbit. The assembly of the space station should continue for the rest of the decade. NASA will then study the opportunity for the LOP-G to become a step towards the planet Mars. But NASA does not intend to limit itself to lunar orbit. It has also begun to create a plan for the surface of the Moon, which could become concrete fairly quickly. Starting this year, the US Space Agency should decide to buy commercial payloads for the Moon. NASA wants private industry to offer solutions to deliver cargo on the surface of the Moon. These flights could start as early as 2019, perhaps with Moon Express. The Blue Moon project of Blue Origin is probably also studied. Next year, NASA will set a date for the demonstration flight of an unmanned lunar lander. The US space agency wants to send in 2029 the first American on the Moon since 1972. In 2020, NASA is expected to make a decision regarding the overall architecture of its ambitions on the Moon’s surface, according to the development of the lander. If the initial results from its partnership with the private sector are conclusive, NASA could order additional cargo to the Moon for exploration rovers, for example. Around 2024, the US space agency will decide whether or not this return to the Moon can be accompanied by a permanent base. But before, it has to conduct demonstration missions of local resource exploitation for the construction or manufacture of propellants.